Farming professionals' partners since 1981, SCIC offers a full range of fertilizers, soil conditioners, seeds and crop protection products that meet the specific needs of tropical crops. Since 2004, we made the shift to environmental businesses. These new activities are a perfect match to our fertilizer range and are in line with current concerns and constraints of agricultural trades. Since 1981, SCIC is committed to you to meet your needs and provide you with complete solutions for fertilization and field treatment. Our complete product range is at your disposal in our store from Monday to Friday. New!! Our factory of liquids and our store of manure are at your disposal of the Monday to Friday. 9 rue Sully Prud'homme - ZI n°3 - 97420 Le Port The Data sheets of the products available to date, are accessible on space "Download". Our Guianese representative "Le bâtiment Guyanais", supplies our fertilizers and amendments. 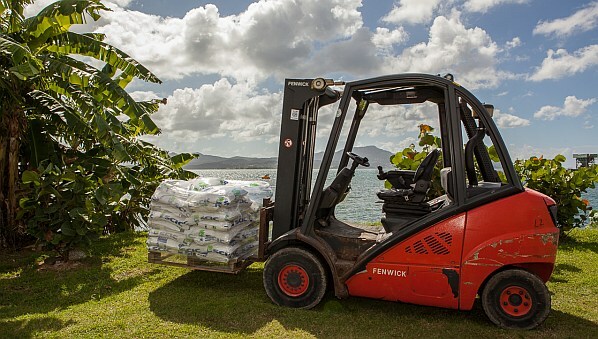 SCIC Martinique and SCIC Guadeloupe are more than ever known as competent, serious and innovative partners in various fields: mineral and organic fertilizers, seeds and pesticide suppliers as well as in the agronomic advices in the humid tropics farming. Moving forward, innovate, grow, these are our watchwords. We are pleased to announce our recent establishment with Réunion to you. Our 'Download' section is available on password and allows you to access technical documents of our products and services. To claim your password: get closer to your usual contacts! Meanwhile, enjoy your visit and see you soon.